In 1922, Michael Langenstein and his two sons, George and Richard, started a small corner grocery store in Uptown New Orleans. Little did they know that Langenstein’s would grow to become the go-to spot for generations of food lovers offering prepared New Orleans’ delicacies, gourmet items and everyday grocery needs. 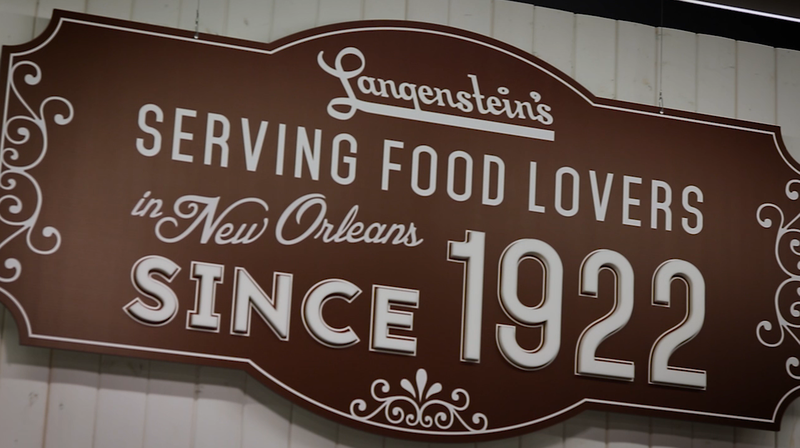 Langenstein’s is not only the oldest independent full service grocery store in New Orleans, but also a fifth-generation independent, family owned and operated business with locations in Uptown New Orleans, Old Metairie and River Ridge. Langenstein’s is truly a neighborhood grocery store. When you walk into one of our locations, you should feel at home. We take customer service to the next level, and we’re one of the only grocery stores in the area that still accepts house accounts. Along with customer service, we pride ourselves on our high standards of quality. From our prepared food selections to our gourmet specialty items, Langenstein’s mission is to provide the highest quality and value that we can for our customers. We offer fresh, local seafood daily and only serve choice and above quality beef. Our customers are our family, and we only serve the best to our family! For years, Langenstein’s has made a name for itself providing quality gourmet prepared foods for families in New Orleans. Starting with original family recipes cherished for decades, we use only the highest quality ingredients to make fan favorites such as our Better Cheddar and Le Popeye Dip. All made fresh daily, it’s as close to home cooked as you can get! Along with our prepared foods, Langenstein’s is known for stocking hard to find items and specialty, gourmet foods. If we don’t have it, we’ll do whatever we can to stock items that our customers request.